One good thing about photo prints on paper is that they're easily portable. All you need is to slip them in an envelope and take them wherever you want. Things aren't so straight forward with digital photos, since affordable portable storage options are relatively thin on the ground. 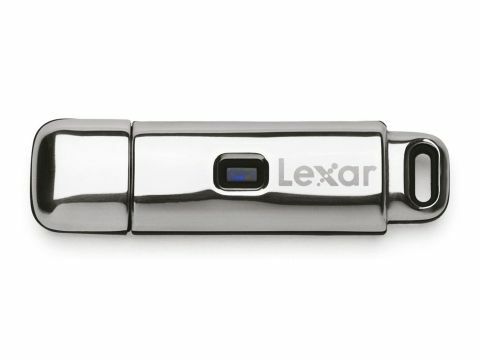 Enter the new Lexar JumpDrive Lightning, which neatly plugs into any USB port and gives you plenty of storage space. The Lightning has an immaculate stainless steel finish, which gives it great physical strength as well as gorgeous looks. It even comes with its own polishing cloth to keep it in tip-top condition. Beneath the shiny surface, the Lightning is even more impressive, utilising some of the fastest flash memory you'll find in any USB drive. In our tests, we were able to copy photos to the Lightning at a super-fast data rate of 15MB per second, via a USB 2.0 port, and read them back at an astonishing 22MB per second. This equates to industry standard 100x and 140x speeds.